Guiding you to the right products for your Analytic needs, now, and into the future. Integrity – Our Clients need to trust us completely. Trust is something you earn and how you move from a vendor to a true partner status with your client. What does this look like, in practice, we are very open and transparent in sharing our knowledge with prospective and existing clients. This demonstrates complete confidence in the value you believe you offer. Balance – Helping our client’s balance Business – Value, Cost, and Risk. In practice, this is putting you in your client’s position and asking yourself, “Would I really follow my recommendations if I were in their position”, and if so when. If you’re pressuring a client to move forward when they are not ready you’re not putting them first. Excellence – We deliver with the highest level of talent possible by spending our own time to understand the business challenges and trends in our focus industries, and by developing “teams” in our practice that truly understand the entire technology stack of the solutions we deliver. Each team stays focused in one area and typically one industry. Clients benefit greatly and are willing to engage us for the long haul because we deliver excellence. Listen to our recent podcast, Reseller Spotlight Episode 2! SAS Software delivers powerful capabilities that improve the data management processes that drive your business. Need a scalable analytics platform? Create a shared computing environment with faster processing and workload balancing. Our Primary Mission is to help our customers maximize the value from their investment in decision support systems. Every company in a competitive market is faced with trying to gain business insight from an exploding amount of data. In addition, the pressure to leverage externally available data and effectively combine it with internal data in a timely fashion for decision making is growing. Organizations who develop the core competency of managing data and delivering valuable business analytics will set themselves apart from their industry peers. Is your organization trying to make critical decisions today but struggling to acquire, integrate, and verify data in a timely manner? Do you have a strategy and roadmap that gives you a level of confidence you’re on the right track? Maybe it’s a good time to talk with someone that has deep industry experience in addressing these challenges. 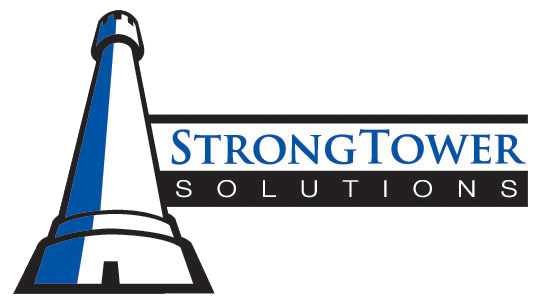 Strong Tower Solutions, Inc. (STS) is a firm that specializes in solving data management and business analytics challenges with over 30 years of experience and up-to-date knowledge on industry solutions and technical trends. So, what makes STS different from other firms? -We always keep the business problem in focus. Many analytics consulting firms today are technology focused and often lead with technology. -We want you to know and understand the business value of our solution. -We focus on a limited number of industries. This helps to ensure we come to the table with insight on day one about your business challenges. -We believe Technology is an enabler, not an end to itself. When we make a technical recommendation, we ask ourselves does this make business sense for our client. We ask ourselves if this were our business would we do this? -We also educate our clients throughout the engagement process. Developing a competency or being able to repeat a successful project on your own requires that we transfer knowledge. Paul Norton launched Strong Tower Solutions, Inc. in 2007 as a SAS Reseller and Alliance Partner. Previously, he supported a variety of industries and clients throughout North America while with HNC Software, Fair Isaac, and SAS. Paul’s expertise at discerning his customer’s needs and crafting the appropriate solution for their business, allows him to provide his customers a complete and results oriented package. His engineering background, combined with business acumen, gives him insight into driving both profit and efficiency into the business model. At the same time, Paul has a keen understanding of how to transform raw data into profitable business decisions within a customer’s unique environment. This problem-solving, business minded approach is embraced by customers who need to go beyond software selection and focus on the total business solution. Paul’s unique skill set, experience, and leadership capabilities continue to meet and exceed the expectations of Strong Tower Solutions customers throughout North America. Frank Hollahan offers over 20 years of experience creating technical solutions in the most relevant and complex industries, including energy & utilities, media & entertainment, and telecommunications. Prior to joining the Strong Tower Solutions team, and early in his career, Frank was a Practice Leader and Data Warehouse Architect for PricewaterhouseCoopers providing Business Intelligence (BI) functional and technical guidance to fortune 500 companies. Over the past 10 years, he held multiple positions with IBM Global Business Services, including the role of North American Business Analytics and Optimization Solutions Leader. In this role, he defined, sold, and delivered outsourced Business Analytics services to global companies. Now you’ll find Frank providing strategy, architecture and application integration to refine and enhance Business Analytic Solutions for our clients. In addition to his extensive technical expertise, Frank brings a strong program management skill to the Strong Tower Solutions leadership team and is an integral part of our total business solution capability. Our team of management consultants and technical engineers have worked in many industries modernizing their information management platforms. This includes developing solutions as well as architecting, designing, and implementing data management systems and advanced analytic applications. At a high-level, analytic capabilities can be applied to all business models. But to quickly deliver complex business analytic solutions that make an impact, you must understand the specific business model and the imperatives that are driving change in that industry. The Life Sciences industry is undergoing constant change as new specialty pharmaceutical companies mature, population demographics evolve, and global business reach expands. The Life Science industry also must respond to changes in healthcare delivery models. New healthcare delivery organizations are forming that are part of larger delivery healthcare networks. Information must be shared between these organizations while conforming to HIPPA standards. Pay for performance incentives are also being phased in under the new and changing healthcare laws. We’re helping companies leverage the power of Analytics to deliver clinical data analysis, product analysis, and marketing analysis under increasingly limited time pressures. In the Pharmaceutical industry, many of our client’s need a “Validated” environment which include both the physical architecture and the applications such as Statistical Modeling and Data Management tools. This requirement is needed not just for the build-out, but throughout the lifetime of the environment. We provide validated and when needed, hosted analytic platforms that are managed under a 21 CFR Part 820 Quality system to be compliant to 21 CFR Part 11 EudraLex Annex 11 and GAMP Categories 1, 3, 4 and 5. The business of delivering healthcare is undergoing significant changes and improving patient outcomes at a reduced cost continues to be the primary driver. In addition, regulatory reporting requirements are being rolled-out in waves. As a result, healthcare providers are feeling the pressure to get control of their data and use it to compete for patient business in a profitable manner. As a starting point, many organizations implemented new and better integrated Electronic Medical Record (EMR) systems. But this is only the beginning of getting data cleaned and integrated. The need for integrating external data and performing advanced analytics is needed for both outcome and regulatory reporting and analysis. STS Consultants are working with Healthcare Delivery Providers to accelerate their information management strategies and develop high impact analytic solutions. Sound data architecture principles developed in our experience with mature industries are applied and accelerated by the latest advances in data and analytic technology. Key to providing these services is our understanding of healthcare data models, and how to integrate the data for analysis purposes. Healthcare Data Management and Analytic information provider companies is a growing business. Data Management functions are more likely to be outsourced by healthcare providers as they continue to struggle with adopting and developing information management as a core competence within their enterprise. We support our clients whether they are looking to build these capabilities in house or utilize an outsourcing model to accomplish their goals. STS is developing data management solutions for our Healthcare Data Management clients. These organizations in turn serve both healthcare providers and payers. The solutions are allowing our clients to deliver measurable, improved outcome reporting and analysis. Our knowledge of the business, the data, and the latest analytic technologies, provides our client base with a partner who can deliver from end-to-end on their information management journey. Although banking and financial services are mature business models, the industry is currently faced with increasing information demands (removing data silos, increased regulation on the data used), controlling operational costs, and finding new ways to service customers. There is also growing demand for regulatory reporting and ever increasing requirements to process and analyze larger volumes of data in shorter timeframes. STS has a dedicated team that is focused on Banking and Financial Institution (FI) information management and analytics. STS is at the fore front of helping its banking clients modernize their analytics platforms. This modernization often entails the usage of advanced technologies including grid computing, analytic model life-cycle management, and managing very large data volumes. In addition, we have deep knowledge and experience in designing, testing, and implementing mission critical back-up, and disaster recovery capabilities that banking systems require.